GMS Racing confirmed today what GodfatherMotorsports.com first reported on Dec. 11, 2013, that driver Joey Coulter has joined the organization to pilot a full-time entry in the NASCAR Camping World Truck Series. 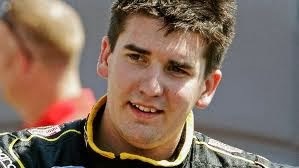 Coulter, who enters his fourth full season in NASCAR, will compete for the 2014 championship behind the wheel of his Chevrolet Silverado. Beginning with the 2014 season, GMS Racing enters a technical alliance with Chevrolet and Richard Childress Racing, and will also utilize Earnhardt Childress Racing Engines for horsepower. GMS Racing acquired the assets of RCR’s truck program, for whom the 23-year-old Coulter drove for in 2011 and 2012, posting one win, three poles and 28 Top-10 finishes. Coulter’s program will be led by crew chief Jeff Stankiewicz, who brings experience in both the Truck Series and NASCAR Nationwide Series to the team. While no information on GMS Racing was included in today’s announcement, sources say the team is owned by Allegiant Air CEO Maurice Gallagher, and will operate out of the Coulter Motorsports shops in North Carolina. The team said their new truck number and sponsor details will be announced at a later date, but sources tell GodfatherMotorsports.com that sponsorship will come from Gallagher’s Allegiant Air, a low-cost airline headquartered in Enterprise, Nevada, just outside Las Vegas.